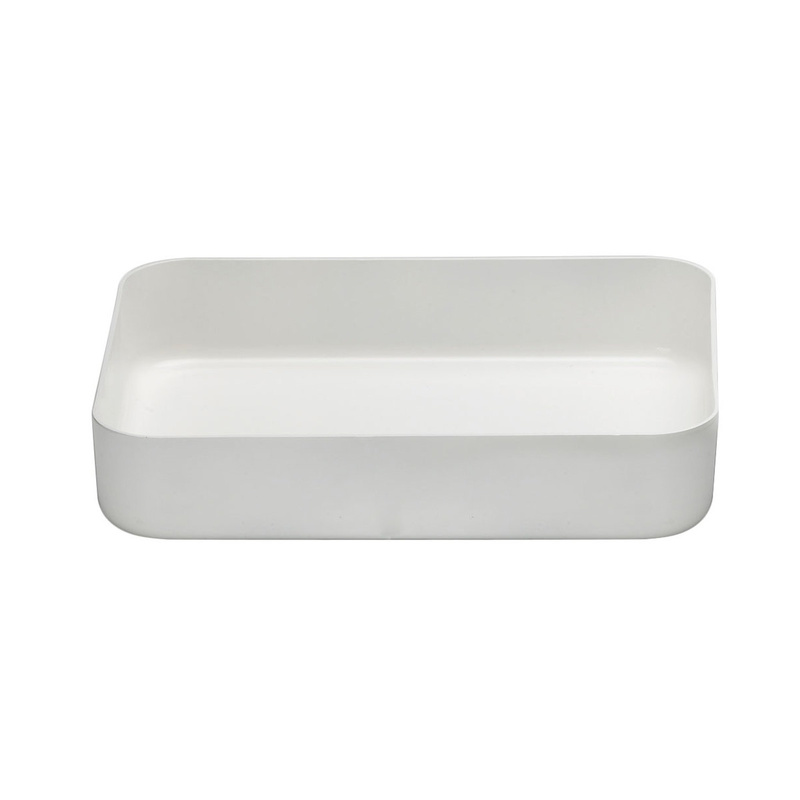 This rectangular baking tray by Knindustrie serves a twofold role in the kitchen. By releasing the handle and transforming the wooden lids in trivets and supports, vessels become plates, cups or salad bowls ready to serve food on the table. To preserve the quality of the tool, when using it for the first time evenly grease the inside with a little oil and wipe it dry with a soft cloth. Always place the vessel on the most suitable heat source size-wise. Do not heat up empty vessels. Do not burn greasy food. On ceramic hobs, lift the vessels and avoid sliding. Let cool before washing. Do not use metal utensils, only plastic or wood. Avoid storage of acidic food over long periods of time. Do not use powder and/or scouring pads for cleaning purposes, simply use warm water and a soft sponge with small amount of mild detergent. Dishwash preferably in Eco mode. Carefully store away so as not to scratch the coating. Do not use in the microwave. Audacious. Brave. Eco-friendly. Innovative. 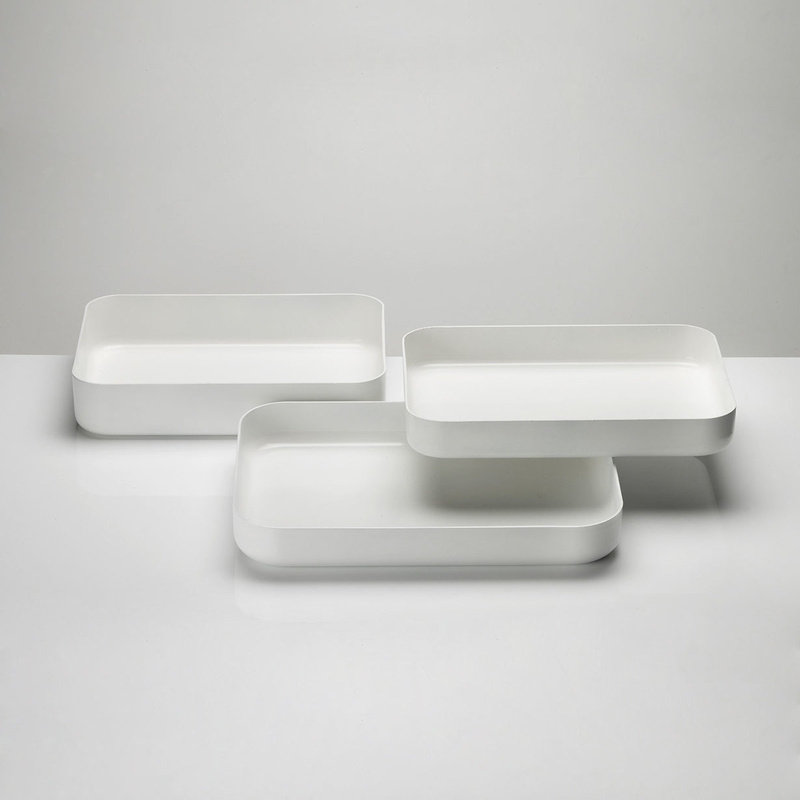 The philosophy of Knindustrie is to make cooking and the presentation of food easier and even more enjoyable. A dream that has become stronger thanks to first-hand experience, direct observation and the cooperation with established chefs, professionals and common people. The result is a wide range of versatile, sustainable items, created with high-quality materials.